Home/What are your core values? Your Core Values are Unique to You! Every person is unique. Each individual has their own thoughts, their own minds, and their own behaviors. Every person also has their own core values. 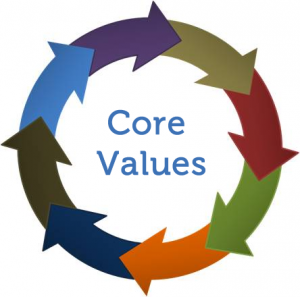 Core values are the values and principles that are at the core of our deepest desires. Core values represent our motivations, our inspirations and our impulses. These personal values are the driving force for how we find contentment in life. Yet for some reason most people stray from their own core values. They blindly put their faith in aspects of their life that are not their true motivators, and as a result they are unable to achieve their dreams and visions. Since life coaching is all about reaching those goals and living abundantly, understanding essential core values or life values and using them to inspire is an amazing tool. Why Don’t People Examine Their Essential Core Values? Complacency – Self-reflection involves the willingness to commit to discovering those true motivators or essential core values and then changing because of them. Many people have grown comfortable with their cynicism in life and are unwilling to make the efforts to discover what their core values truly are in the interests of keeping their life mediocre and free of abundance. We often react to life situations instead of pro-actively choosing to discover ourselves. Fear – Self-reflection on your core life values can be a frightening process. It involves examining yourself to discover the answers to the core questions about who you are and what your personal values and principles are. Self-reflection uncovers your principles and values. You are forced to take responsibility for your own behaviors. Doubt – The cynicism that has taken over your life may have led to doubt in your own abilities, personal values, or core values. For your principles and values to be truly unlocked, you will need to have faith in yourself and what you can accomplish. This will allow for self-refection and the true unlocking of the essential core values of your life. Other People’s Influence – This can be parents, siblings, friends, society etc. People influence us either intentionally or unintentionally. Many people have excuses, objections, and/or apathy towards discovering their essential core values and principles. What you should realize is that when you refuse to take the time to do some self-reflection on core values, you are the one that is putting the road block between yourself and your laser focus on life. You are the one that is holding yourself back. If you allowed yourself to engage in self-reflection, you would find that your core values and principles are right there for you to discover. This can have a drastic change on your life. In order to discover your essential core values and principles you need to let go of your fears and give yourself the energy to commit to self-reflection and making these revelations in your life. Finding, recognizing, and utilizing your core principles and life values has the potential to give you a laser focus on your path in life. It has the potential to give you not only clarity to discover your dreams, but also the mental and physical energy to reach all of your goals. Appreciating Every Day – When you live your life according to your core values, you will be able to enjoy every facet of your life, because you are living a life that is dedicated to bringing contentment to you in the form of the values you currently hold. Reaching each goal will bring you tremendous joy, because each goal is based on your own essential core values. Living Without Regrets – Core values help drive the way you live in life. You will hit some crossroads along the way, but when you are living according to your principles and values, those speed bumps will not bring you down, because no matter the outcome you will know that you made your decisions based on your true and essential core values. Keeping You Focused – There are a lot of temptations and distractions in life. Often these can brings us off our path and towards something that won’t bring us true contentment or abundance. But when you discover your essential core values through self-reflection, you will be able to keep yourself focused and motivated towards the path that is best for you. Improved Self Esteem – It’s a well-known fact that those that know themselves like themselves. When you discover who you truly are as a person (your essential core values) you will have no reason to be envious toward others or bitter about where life has taken you. You will be able to keep your contentment and happiness high, and tap into what makes you an amazing person. True Satisfaction – When you seek out goals that don’t satisfy your core values and principles, the satisfaction you get from accomplishing them is weak and fleeting. It is much like the joy you get from buying new clothes. For a day or two, when you wear the clothes, you feel pleased, but afterward the clothes lose their value to you, and you seek out more satisfaction elsewhere. On the other side, when you set goals that relate to your core values and personal values, you will find that your satisfaction is deep, intense, and enjoyable. The benefits of self-reflection to discover your true principles and values are undeniable. Most of us never get a chance to live our lives the way that we truly want to. Yet if you are willing to commit to the idea of living your life according to your essential core values, you will find that the benefits never cease and your life will be filled with happiness, energy, and abundance. The easiest way for you to find that focus and clarity in your life is to allow yourself to commit to finding out your essential core values. The core value life coaching philosophy is based on the idea that by slowly uncovering the core values that inspire you the most, you will be able to tap into the essential core values that are most important to you and discover how they can be most beneficial to you. This style of life coaching involves working through a list of over 350 different core life values and principles, and slowly narrowing it down – digging away at all of the core values that are less and less important until we discover, together, the 5 to 7 essential core values that most represent who you are. This assessment, called the Essential Core Values in Life™ assessment, is the ideal way to discover what values matter most to you. As we sift through every one, you will notice many of the values that have been affecting your life in the past, and which ones have been leading you astray from your core values. My life coaching philosophy is designed to help you pick out your greatest and most essential core values and act as a teacher, motivator, friend, and mentor to help you accept, discover, and live your life by each of your essential core values. This is life coaching. I have developed the Essential Core Values in Life™ Software to help you get started. Within this software you will find over 350 core values, and you will learn to assess what each of these values and principles means to you. Over time you will start to see trends, and you will need to decide which core values are actually the most important to you and which ones are nothing more than a fleeting desire. In the end, you will discover what your core values mean, and then you and I can start to work towards putting those values into action. Click here to receive your complimentary session and discover what your Essential Core Values in Life™ are! HELP YOU FOCUS YOUR ENERGY ON WHAT IS VALUABLE TO YOU… It has helped me focus my energy on what is valuable to me, and made it easier to stop wasting energy pursuing other people’s priorities or suggestions. It has also added validity to areas of inner turmoil where I have felt I have wanted to be something that has been criticized or rejected. It will help me stand up for myself, and give me power and freedom to choose what I am doing and where my time and energy is spent. MAKE DECISIONS IN THE FUTURE THAT WILL USE YOUR CORE VALUES AS A FILTER… I appreciated the core values exercise. Understanding why I feel the way I do about situations (know how I tic) and relating it back to my core values is empowering. With this understanding I am able to formulate a plan for life that brings these core values in to play. 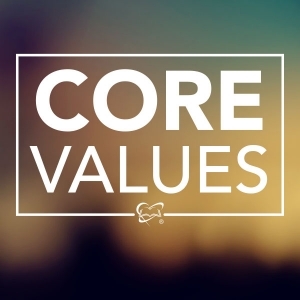 As I make decisions in the future I will use my core values as a filter by asking the question if this is aligned with my core values or does it take me further away from them. 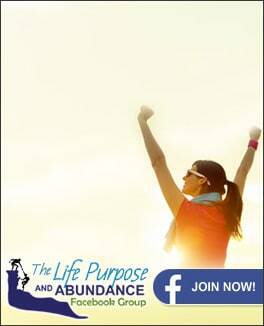 AMAZING RESULTS FROM THE Essential Core Values in Life™ PROGRAM!